What’s Your Home Worth?Get a FREE Home Evaluation Today! COMMERCIAL SPACE w/ 3 Parking Spots in Prime Location! BRAND NEW LUXURIOUS RENTAL UNIT IN CENTRETOWN! Great Priced Detached Home in the Prime Location of Pinecrest! 2 BED CONDO FOR SALE WITH 2 PARKING SPACES AND VERY LOW CONDO FEES! Townhome in Prime Location Morgans Grant For Sale! New Corner Lot Home Available Immediately! Great Priced Condo in a Prime Location, w/Tons of Amenities, Underground Parking & Storage Locker! 3200SQ FT + BSMT HOME IN KANATA LAKES! Minto Fifth Avenue Model w/3 Generous Size Rooms, Finished Basement in a Prime Location! 4 Bedroom Richcraft Home w/NO REAR NEIGHBOURS! 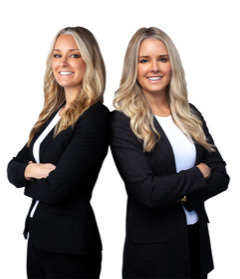 The Ritchie Twins work together at Remax Core in the nation’s capital. Their passion is helping people by eliminating the stress involved in the buying and selling process. They pride themselves in being honest and straight forward with their clients and ensure they are informed throughout the process. Their goal is to get the best price for their clients and to ensure they buy a home they love. Their expertise of staging homes and the advantage of providing staging supplies is an added value that they provide. They guarantee to look after their client’s best interests and to provide them with a team of top quality professionals to support them in the process. Brooke is a very pleasant and patient realtor. Her professionalism and determination to find the right place paid off. She also provided me with excellent contacts for inspection and legal services. When things get tough she does too. I am happy with my new home. We recently used the Ritchie Real Estate Team to purchase our new home. My boyfriend and I were first time home buyers and they made our experience run smoothly. They listened to our needs and showed us properties that reflected what we asked for. I can’t say enough wonderful things about the job that Jenna and Brooke did for us! Their first priority was what was good for us and really cared about what we wanted. They are extremely dedicated and really care about their client’s best interests. The Ritchie Twins came so highly recommended and have lived up to their reputation and then some! The level of knowledge & professionalism that they bring to the table is outstanding. If you’re buying…or selling you need this team to represent you!